Jyoti Verhoeff will embark on her Touches Radio-Livestream Tour 11/April and continue to bring you more of these interview/live music shows at least once per month right up to day of full album release, scheduled for 27/September/2018. Follow Jyoti Verhoeff on her website via her newsletter, or on Facebook for updates and/or time changes that might occur to the schedule above. 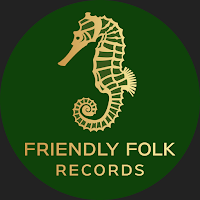 Note: In addition to the release of the full album, 'Touches' - I speak with my mouth shut, we are excited to announce that Friendly Folk Records will also release one digital single track from this highly anticipated album titled: 'An Ocean To Still Me'. It will be accompanied by a video and it is only single with worldwide digital distribution release via Friendly Folk Records 27/June/2018.